Discounted freight may be available for large orders. For a custom freight quote, please contact us prior to checkout. Most orders will be dispatched from Melbourne, VIC by TNT or Australia Post. Most orders are sent via a tracked service. Some orders may be dispatched directly from our supplier in order to shorten delivery time. Please allow up to 2 days for dispatch and 2-8 working days for delivery. Orders are covered by transit insurance. It is your responsibility to supply us with your correct shipping address. Couriered items cannot be sent to PO Box addresses. DO NOT sign for a package if you suspect it is damaged. Signing for an item means it has been received in good order, and any damage is no longer the courier’s responsibility. If your item is damaged, you must call us (03 9374 2022) or email us ([email protected]) to notify us within 24 hours. So we can help you best, please include your name, address, items ordered and a brief description of the apparent damage. All items will be assessed by us on a case by case basis. Goods sent by courier can be tracked using the usual “track-and-trace” feature on courier websites. You will find your Tracking Number (if applicable) and courier website address printed at the bottom of your shipment confirmation email. Smaller orders may be sent via Australia Post Regular service without tracking. To return an item purchased online, and so we can serve you best, the following procedure must be followed. We reserve the right to refuse the return of any item that does not comply with this procedure. Item(s) must be unopened, unused, in their original packaging, with all included accessories, if applicable, and must not be damaged in any way. To initiate a return, email us at [email protected] thirty (30) days of taking delivery of your product. Please include your name, best contact phone number, invoice number and product name. Where there is no proof of delivery, delivery date will be assumed to be four (4) business days from the date of dispatch. 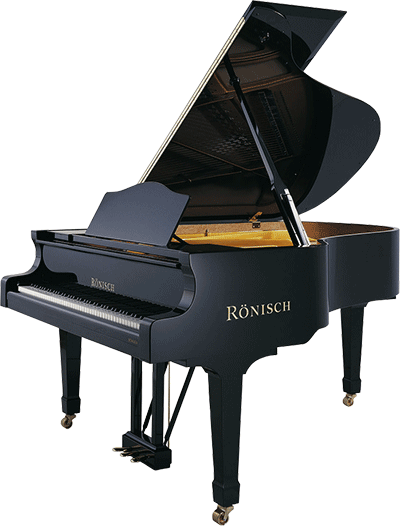 Item(s) must be received by EPG Piano Warehouse within ten (10) business days of the date you lodge your return request. Return freight costs will be at your expense. Returned items will remain your responsibility during transit. EPG Piano Warehouse will not accept liability for damage which may occur during transit. Please pack your returned item(s) carefully. After receiving the returned item(s), EPG Piano Warehouse will issue a refund, exchange or store credit according to your preference. If your item is found to be faulty due to a manufacturing defect, and is within the manufacturer’s warranty period, EPG Piano Warehouse will repair or replace your item. If your item cannot be repaired or replaced, we may offer you a store credit or issue a refund. E-mail us at [email protected] notify us of the faulty item. Include your name, best contact phone number, invoice number, product name and fault description. We will reply to you within two (2) working days. If your return is approved, we will give you return details and the return address. This address may be EPG Piano Warehouse, the authorised repairer or other authorised third party. We may also request further information to process the return. For more information regarding shipping or returns, or if you require express delivery or additional insurance for your order, please contact us by phone (03 9374 2022) or email ([email protected]).